Joplin Metro Credit Union was looking to revamp their current website, and after getting acquainted with SNC Squared we learned they did website design. Amy at SNC Squared set up the appointment immediately, and Preston visited our office to learn more about our company and share what they could do for us as far as a website. He was great! I was impressed with how quickly they responded to our request. Throughout the process we worked with Mark and he was Excellent! Always available and constantly communicating with us about the website and the progress. He would set up regular appointments with us and we would visit their office to cover everything in detail. We never felt rushed during the meetings. He always took the time to listen to our ideas. Their design team would offer suggestions and then allow us to give our feedback. Anytime we asked for something to be changed Mark was so fast about getting it done! Everything was a smooth process and I was highly impressed with how quickly they completed our website! Our website has added features and looks amazing! Our members love it! Going through SNC Squared is a secure and compliant way to go. Thanks to SNC and the services they provide, the work required to keep our disaster recovery system functioning correctly has been virtually eliminated. I used to spend hours and hours setting up back-up jobs, reviewing job completion errors, rotating tapes, taking tapes to the safe deposit box, etc, but now I rarely get involved with any of the process. And, the process is very stable and reliable. I have yet to ask for a lost file to be replaced, or an entire virtual server to be rebuilt from back-up that the data wasn’t ready and waiting. If you haven’t implemented a full scale back-up program, or if you are still using tape back-ups, I strongly recommend that you take a look at the service John has to offer you; it is worth the time and money. 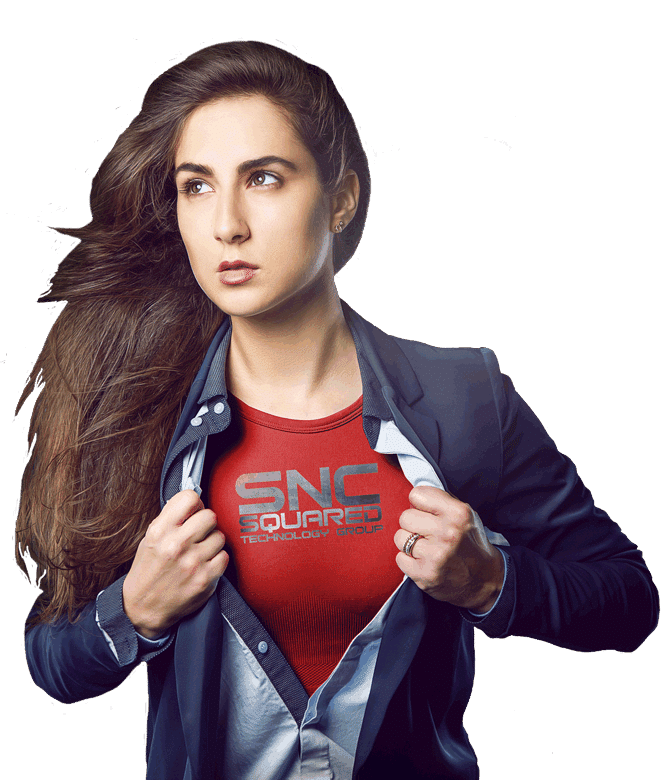 Thanks to SNC Squared and the Managed Services Program they provide, the entire burden of computer support has been taken off my back, and I don’t have to worry about security threats or downtime. Now we are getting regular Microsoft updates, virus updates, spyware is being scanned and removed, the temporary files are getting cleaned up, and our backups are being taken care of. It’s really helped speed up our network, our programs run better, and we don’t have the recurring problems that we had in the past. For a small business like ours, Managed Services just makes sense. It gives you the real necessities of support you need at a very fair price. In my 15 years in business, I have never been so happy with my computer network. If you rely on your computer system to run your business, then you should call SNC Squared. Finding the right partner to help make this goal a reality was key.SNC provides us with what we need to run efficiently every day. If a computer or network goes down, we have no concerns because our crucial data is 100% backed up, and technicians are working to get us back up immediately. In our business, security and backup is all we have. Our customers expect us to keep their information forever, and SNC makes this easy. If we have any IT problems internally, it’s handled quickly and efficiently. SNC understands that time is money and I have peace of mind knowing I have someone to call who will get us back up and running ASAP if something does go down. I feel I can trust SNC Squared to do what’s right for my company. You don’t find that with all IT companies. John has helped us with our computers and network for about 6 years. During that time we have changed servers, software, wireless routers, set up a secure wireless network, a VPN tunnel, remote access, and probably some other things I can’t remember. We have yet to come up with a problem they cannot fix. They are always pleasant to work with, never displays frustration at the messes we have caused trying to fix it ourselves. Our national software vendor has been impressed with him as well. In short, we are VERY pleased with their work. We have been working with John and SNC Squared from their beginning and are always pleased with the reliable, competent and friendly service we receive. Even though I am the in-house IT person for our company, there are times that I need assistance with large projects, special problems or coverage for when I am out of town. John has always been there to cover for me and assist Jasper Products with our networking and hardware needs. We couldn’t ask for a better partner! The other day I was working on my computer and I got a call from SNC Squared. An engineer said, ‘I see your hard drive is having some problems, there are some issues. I am ordering you a new one and I’ll be out to fix it.’ I didn’t even know that I had a problem. And, I was just thinking ‘WOW,’ think of all the data that saved because they noticed I was having a problem, even when I didn’t.